Royal Enclave Rajarhat, Kolkata Flat Size Price & Facility Details - Buy New Flats of Dharitri Infraventure Pvt. Ltd.
Buy New Flats Rajarhat, Kolkata Dharitri Infraventure Pvt. 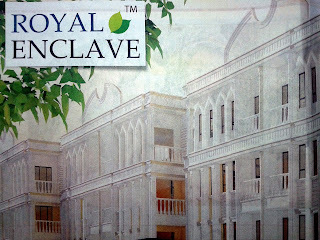 Ltd. Royal Enclave new flat price rate costs charges 1 BHK Flat 2 BHK 3 BHK Flat Rooms size area Royal Enclave flats booking online, Rajarhat, Kolkata Royal Enclave Buy Flat details of Royal Enclave Rajarhat, Kolkata housing project, Property & Real Estate information, 1BHK 2 BHK Flat Size Price & Facilities of Royal Enclave Flats in Rajarhat, Kolkata. Royal Enclave at Rajarhat, Kolkata has given the opportunity to the people of Kolkata and across Bengal to buy new flat at Rajarhat, Kolkata of Dharitri Infraventure Pvt. Ltd. Real Estate Company. Those who are looking for New Property / Flat / House nearby Haldirams, VIP Road, Chinar Park, City Centre 2 (CC2), Eco Park, New Town areas of East Kolkata at cheap price rate; can now contact the head office of Dharitri Infraventure Pvt. Ltd. to book new flat of Royal Enclave, Rajarhat, Kolkata. Let’s check out more details on Royal Enclave, Rajarhat, Kolkata. • Features Facilities & Advantages of Royal Enclave Housing Project, Rajarhat, Kolkata: - Swimming Pool, Baby Pool, Gymnasium, Medication & Yoga Area, Jogging Track, Basket Ball Court, Tennis Court, School, Market Complex, Cricket Pitch, Indoor Games, Club House, Amphi Theater, Community Hall, Barbeque Area, Garden and many other common facilities are available at Royal Enclave, Rajarhat, Kolkata Housing Apartments of Dharitri Infraventure Pvt. Ltd..
• Royal Enclave Rajarhat, Kolkata Flat Size, Price / Rate / Costs / Charges: - There are several types of flats are available at Royal Enclave like 1-BHK flat, 2-BHK flat, 3-BHK flat etc and the Royal Enclave Flat price at Rajarhat, Kolkata are varies depending on the Flat Size. Flat price starts from 7.5 lacs at Royal Enclave Residential Complex of Rajarhat (Kolkata). Finance and Bank Loan facility is available at Royal Enclave Housing Project for the buyers. • Royal Enclave Housing Project Site Address / Location: - Royal Enclave Residential Complex of Rajarhat is excellently connected with all major parts of Kolkata – Salt lake Sector-V is only 5-10 minutes way, Dumdum Airport is only 10 minutes away, 5 minutes from New Town Metro Station, 15 minutes from EM Bypass, 3 minutes from Xavier’s University & IIT KGP Campus, and well connected by Auto & 91B & ST7A Bus route. • Dharitri Infraventure Pvt. Ltd. website: - www.dharitri-infra.com. • Flat Booking Process at Royal Enclave, Rajarhat, Kolkata: - Apartment (Flat) Booking process is going on. Please collect Application Form from selected UBI Bank Branches and from Authorized Marketing Partners [9830945576 / 9038020859 / 8170040739 / 8170062465 / 8170062464]. Flat booking will happen through Lucky Draw process after submission of application forms. Last date of Application Form distribution & submission is 20th August 2015. Lucky Draw will be held on 2nd October 2015. Those submitting application forms by 10th August 2015 will be eligible for special offer through lucky draw. Please contact Mr. Karan Sood (karans@unitedbank.co.in) for Housing Loan. Dharitri Infraventure Pvt. Ltd. & Royal Infra Developer are the developers of Royal Enclave Complex of Rajarhat (Kolkata) along with marketing partners Century21 Realty & MK Realtors with IT & Digital Marketing support of Accede Consultancy Pvt. Ltd. For further details please visit www.dharitri-infra.com. It is recommended to the peoples, who want to buy flats at Rajarhat, Kolkata (or nearby areas like VIP Road, EM Bypass, Haldirams, Chinar Park, Eco Park, CC2, City Centre 2, New Town), to contact Dharitri Infraventure Pvt. Ltd. as soon as possible to fill-out new flat booking forms of Royal Enclave of Rajarhat, Kolkata or to know whether any discount / offer is going on new Royal Enclave flat prices at Rajarhat, Kolkata.